2. Links zum Thema''' / Thema engl. It started with an innocent question about 9/11. And that lead to more innocent questions. And after a while, I completely changed my opinion of the official story of that day. That was a very hard time in my life. It felt like my world was turned upside down. I couldn't stop researching. I was unemployed. And I was running out of savings. I tried talking about it, but felt like no one was listening. At the time, my wife didn't even believe me […] nor did my friends and family. No matter what I tried, nothing worked. So, to preserve my sanity and save my marriage, I began putting this film together. I had no idea any of this would ever happen because I simply made it for my wife, my sister and a couple of dear friends. I made it to speak to them directly, to get them to open their eyes. And it worked, because just all my friends and family that have seen it have changed their opinion about 9/11, maybe all by the time you read this! the 7/7 attacks in London in 2005 (56 dead). 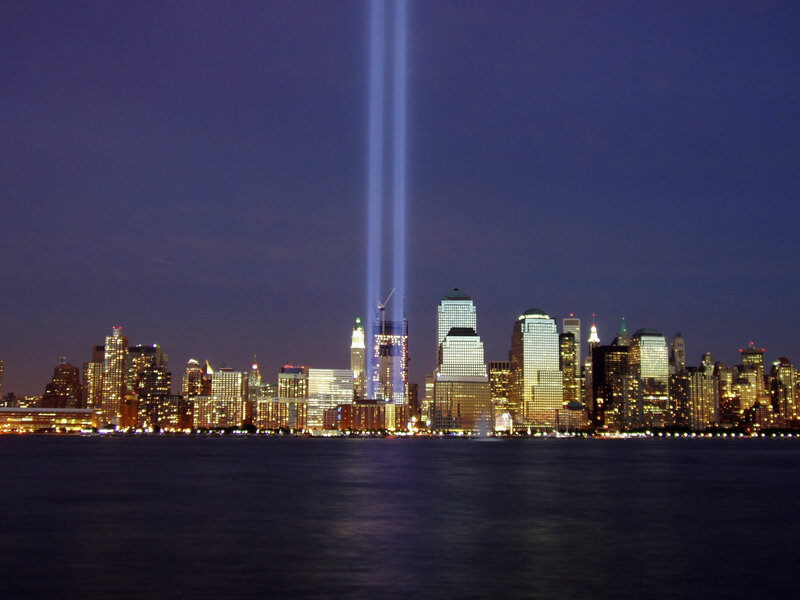 The largest and, with almost 3,000 casualties, most severe attack in the history of terrorism occurred in the US on 11 September 2001, short 9/11. Peace studies investigate 9/11 closely as it triggered the attack on Afghanistan and provided the casus foederis for NATO and also served as the justification for the establishment of the Guantanamo Camp. It was also connected to the war in Iraq in 2003. SURPRISE: Bin Laden and 19 Muslim terrorists carried out 9/11 and the Bush administration was completely taken by surprise. LIHOP (Let it Happen on Purpose): Bin Laden attacked, but criminal elements in the Bush Administration saw the attack coming and consciously let it happen and sacrificed 3,000 lives, to limit civil rights, increase military spending and lead resource wars as a consequence. MIHOP (Make it Happen on Purpose): Criminal elements in the Bush Adminisration planned and carried out 9/11. Terrorism is "Divide and conquer" deception in an ongoing classwar. agents in the United States and Britain. ⚑ Senior officers from Israeli military intelligence agencies were the chief architects of 9/11. by senior Israeli intelligence figures in 1980.
positions from which they could directly control the cover up. ⚑ The Twin Towers were demolished with a extremely powerful explosive called super-thermite. I had also studied the Israeli attack on the USS Liberty and seen how the U.S. government and military had covered up the truth of the Israeli military attack on the unarmed Navy vessel off the coast of Egypt in 1967. With this background I approached the events of 9-11. Well aware of the history of false-flag terror, the overwhelming Zionist influence in government and media, and dishonest official investigations into recent mass disasters, I was a natural skeptic from the start. Chapter I "9-11 Through the Eyes of an American Skeptic"
I cannot abide mass murder, occupation, and genocidal wars of aggression. Nor can I accept the corruption of our values and destruction of our basic American rights to suit an artificially imposed War on Terror. With the passage of time, it has become quite clear that 9-11 was carried out in order to kick-start the perverse Zionist Zeitgeist known as the global "War on Terror" with its pre-planned wars of aggression, conquest, and occupation. Chapter II "The Planes of 9-11"
9-11 will never be solved by the federal government, politically appointed investigators, law enforcement agencies, or the corrupt courts. These controlled agencies, like the Zionist-controlled media, are only interested in controlling the information and preventing the real truth from being revealed. This crime will only be solved by concerned and dedicated independent researchers. Chapter II "The Planes of 9-11"
After spending several years in Europe, Israel, and the Middle East, I returned to the United States in the late 1970s and found the discourse in the media about Zionism to be extremely one-sided and distorted. Zionism, a racist ideology if ever there was one, was grossly misrepresented in the U.S. mass media as being a progressive and democratic movement of national liberation, while the state of Israel was depicted as being a kosher slice of America in the Middle East. It was very clear that the people providing the distorted view of the Middle East were themselves Jews devoted to a very un-American political and racial agenda called Zionism, the violent and chauvinistic nationalism of Eastern European Jews who have occupied Palestine since 1948.2 Chapter VII "The Architecture of Terror: Mapping the Network Behind 9/11"
As an independent journalist and researcher of 9/11, I have seen how Zionist-controlled media outlets are actively engaged in covering up the evidence of Israeli involvement in the false-flag attacks of 9/11 and the Zionist-planned "War on Terror." I have personally been subjected to slander and defamation from a host of Zionist-controlled news outlets, including CNN and FOX News, simply because I have investigated and written about the evidence of Israeli involvement in 9/11. Chapter VII "The Architecture of Terror: Mapping the Network Behind 9/11"
I have paid a very high price for investigating and writing about the evidence that contradicts the government's version of what happened on 9/11. The first attack came from the Anti-Defamation League of B'nai B'rith (ADL) in November 2001. The ADL, an organization of Jewish Freemasonry dedicated to supporting Zionist and Israeli interests, first smeared the American Free Press, the newspaper I wrote for, as a "conspiratorial and anti-Semitic weekly newspaper," which it said had "repeatedly turned to the subject of the 9/11 attacks as grist for its mill." The ADL then singled me out for my article, "Some Survivors Say Bombs Exploded Inside WTC" in which, the ADL said, "Bollyn suggests that the 'mainstream media' is ignoring eyewitness accounts of bombs that exploded inside the World Trade Center before the collapse of the Twin Towers." Chapter VIII "The Mass Media & the 9/11 Cover-Up"
Having spent several years in Israel and the Middle East and having studied the history of Zionism (i.e. Jewish nationalism), I know something about the many crimes committed by Zionists during the past century. From this perspective I approach the evidence of Israeli and Zionist involvement in the major crimes of our time, such as 9/11. My investigations have uncovered a great deal of evidence of Israeli involvement in the false-flag terror attacks of 9/11 and other crimes. For journalists working in the controlled media, pursuing such investigations would be "career suicide," as many learned after 9/11. I have paid a very high price for my research and writing. I learned that Jewish Zionists control even small so-called nationalist newspapers. Most journalists, lawyers, and politicians are primarily interested in advancing their own careers and learn early on to accept the yoke of their Zionist masters – or sacrifice their careers. Chapter IX "Who Really Controls Our Political Parties?" The so-called "mainstream media," outlets such as the The New York Times, Chicago Tribune, Los Angeles Times, CNN, and FOX News, however, will never investigate the connections of the Zionist corporate network with 9/11 or the financial crisis because they are part of the same network. This is how the Zionist-controlled media works: they shield Zionist crooks by blaming others. This is also why CNN and FOX sought to smear me as an anti-Semite rather than discuss the evidence of 9/11. The situation with the Zionist bankers and corrupt Israeli banks like Israel Discount Bank of New York is exactly like that depicted in The International, the  film about a corrupt bank which profits from Middle East weapons deals and war debt. As the Italian weapons dealer turned politician said: "It's not about the profits from the weapon deals; it's about control." Debt is the banker's instrument of control. It is a fairly daunting undertaking for an independent journalist to investigate the sprawling criminal network behind such huge crimes. Apart from the very real dangers it presents, it requires a great deal of research. I have paid a very high price for my 9/11 research and activism and seen the lives and careers of fellow truth seekers destroyed because they dared to challenge the audacious lies imposed on the public mind. Chapter XII "The Nexus Linking 9-11 and the Financial Crisis"
The rabid Zionist Neo-Cons who dominated the Bush administration pushed the "War on Terror" with its criminal wars of aggression, occupation, and Balkanization in the Middle East as the strategic response to 9-11. Likewise, the Zionist media moguls, who dominate the U.S. mass media, promoted the "War on Terror" as the suitable and proper response to the terror atrocity, a crime of mass murder which they refused to investigate. An Israeli official named Oded Yinon revealed the Zionist strategy to Balkanize the entire Middle East into ethnic mini-states in the early 1980s. The plan for a global "War on Terror" to accomplish this goal has been articulated since the mid-1980s ad nauseam by Benjamin Netanyahu, the Israeli prime minister of the extreme right-wing Likud party. The Israeli military's plans to realize these strategic goals had evidently been in the works for at least three decades before 9/11. Chapter II "The Planes of 9-11"
The FBI [...] under the command of the Israeli dual-national Michael Chertoff, is responsible for the confiscation of the crucial evidence from 9-11, evidence which has been withheld to this day. This evidence includes video tapes of the Pentagon attack and physical pieces from the different aircraft involved. This evidence is critical to prove what happened and which aircraft were involved in the attacks – but the FBI has refused to release this evidence. Neither President George W. Bush nor the U.S. Congress demanded that they do so. Under President Barack Obama the 9/11 cover up and the war in Afghanistan continued. The destruction and suppression of crucial evidence from 9-11 and the lack of a real investigation indicate that a culture of corruption and lack of transparency exist at all levels of government. Chapter II "The Planes of 9-11"
9-11 was a very sophisticated operation [...] which required the "fixed frame" of a state intelligence organization. It was carefully planned years in advance and carried out for one strategic purpose: to kick-start the Zionist-planned "War on Terror." The rabid Zionist Neo-Cons who dominated the Bush administration pushed the "War on Terror" with its criminal wars of aggression, occupation, and Balkanization in the Middle East as the strategic response to 9-11. Likewise, the Zionist media moguls, who dominate the U.S. mass media, promoted the "War on Terror" as the suitable and proper response to the terror atrocity, a crime of mass murder which they refused to investigate. Chapter II "The Planes of 9-11"
Dedicated Zionists will either deny or defend these acts of Israeli false flag terrorism as the "pragmatic" thing to do – and attack those who disagree as anti-Semitic. Chapter II "The Planes of 9-11"
The highest Israeli intelligence official at the time of the Lavon Affair, Isser Harel, was evidently aware of the long-term planning of 9-11 – more than twenty years before it happened. In 1980, twenty-one years before September 11, 2001, Isser Harel, the former director of Haganah intelligence, the Shin Bet (internal) and the Mossad (foreign) intelligence services, predicted with uncanny accuracy the events of 9-11 to Michael D. Evans, an American supporter of Zionist extremists of the Jabotinsky sort.3 Chapter III "America the Target: 9-11 and Israel's History of False Flag Terrorism"
The extent of Zionist control over the U.S. mass media, including the Internet, is astounding. The mass media has effectively prevented most Americans from understanding who is really behind the false flag terror attacks of 9-11, and, by extension, the illegal and genocidal wars in Afghanistan, Palestine, Lebanon, and Iraq. The controlled media has also left Americans with an extremely distorted view of the Middle East, Zionism, and the history of the Zionist state, Israel. Chapter III "America the Target: 9-11 and Israel's History of False Flag Terrorism"
While the evidence indicates that the Israelis had prior knowledge of 9-11, commonly-held misconceptions about Israel and a general lack of understanding of Zionism's brutal history of terrorism prevent most people from comprehending the Israeli connection. An ignorance of Zionist history, cultivated by the controlled media, prevents people from understanding reality in the Middle East. It is essential to have a grasp of the history of previous Israeli attacks on the United States to understand 9/11. Chapter III "America the Target: 9-11 and Israel's History of False Flag Terrorism"
Netanyahu is the son of Ben Zion Netanyahu (born Mileikowsky in Warsaw, Poland). Ben Zion was the former senior aide of Vladimir "Ze'ev" Jabotinsky, the militant extremist founder of Revisionist Zionism and the Irgun. His son, Benjamin "Bibi" Netanyahu is also a leading advocate of the teachings of Jabotinsky. On July 8, 2007, Netanyahu was the keynote speaker at an event at the Jabotinsky Institute to mark the 67th anniversary of the death of the founder of the Irgun. Only Jewish armed force would ensure the Jewish state. Chapter III "America the Target: 9-11 and Israel's History of False Flag Terrorism"
Zionists and Israelis have long employed terrorism as a tool and a tactic. Senior officials of the Israeli government, the Mossad, and AMAN (Israeli military intelligence) have long histories of using terror as a tool. Zionist immigrants from Poland and Russia used terrorism to drive the native Palestinians from their land, homes, and villages during the war of 1947-1948. Some 400 Palestinian villages and towns were obliterated and their populations killed or sent into exile as refugees. Many of the Palestinian houses and villages were taken over by Jewish immigrants; others were razed to the ground. Chapter III "America the Target: 9-11 and Israel's History of False Flag Terrorism"
The ultimate goal of creating U.S. animosity toward the Arab world is the Zionist mega-fraud known as the "War on Terror." With its U.S.-led invasions and occupations of Afghanistan and Iraq, the "War on Terror" is the realization of an important strategic goal for Israeli military planners. To have the armies of the U.S. and European nations occupying Iraq, the most powerful and advanced Arab nation, has always been the dream of Zionist strategic planners. Benjamin Netanyahu, for example, has explicitly called for such a global "War on Terror" since the early 1980s. Chapter III "America the Target: 9-11 and Israel's History of False Flag Terrorism"
So many Americans know so little about the Middle East. The most obvious symptom of this television-induced ignorance is that most Americans know nothing about the real history of Zionism and the State of Israel. They are completely unaware, for example, of the long history of Zionist terrorism against Palestinians, Americans, Jews, and even Israelis. Raised on Hollywood television and movies, many Americans don't have the slightest clue about the real nature of Zionism. Chapter VI "Who Controls Our Elections?" Apart from [the 1983 spy novel] The Little Drummer Girl by John Le Carré (*1931), I have never seen a film in which Israelis were anything but heroes or victims, usually both. The Little Drummer Girl, which is a film worth watching, shows how false-flag terror attacks are frequently committed by Israeli intelligence agents to be blamed on their enemies. Such false-flag Zionist terror attacks were carried out against synagogues in Europe in the movie, and in Baghdad in real life during the late 1940s. In the usual Hollywood films about terrorists, such as the Die Hard films and others produced by Zionist media moguls, the bad guys are always Arabs, Germans, or corrupt members of the U.S. military. For many decades the Zionists who control Hollywood have defined who the "bad guys" are for most Americans. Chapter VI "Who Controls Our Elections?" The B'nai B'rith is a secretive, but extremely powerful and influential order of Freemasonry. It is, for example, the parent organization of the Anti-Defamation League of the B'nai B'rith (ADL), which has a great deal of influence with legislators and law enforcement agencies across America. It is also the parent of Hillel, an organization for Jewish students found on virtually every college campus in the United States. The New York Times can be called a B'nai B'rith newspaper due to its ownership by the Sulzberger family, one of the leading families of B'nai B'rith Lodge No. 1 in New York City. Chapter VI "Who Controls Our Elections?" More than 4,500 American men and women have died during the occupation stage of the nearly two-decade-long war against Iraq. The U.S.-led invasion and occupation of Iraq, an illegal war of aggression, is clearly a Zionist-planned war in which Americans and other mercenaries actually do the fighting – and dying. Chapter VI "Who Controls Our Elections?" If Olmert's visit to New York City [on September 10, 2001] was innocent and only involved the transfer of an Israeli soccer club, why has it been kept so secret? Why did Rudy Giuliani and the New York Police Department conspire to keep it secret? It is impossible that the authorities in New York did not know that Ehud Olmert, Israel's deputy prime minister at the time, was in their city. Mayor Olmert's visit was certainly no secret to the city or federal authorities – or high-level Zionists of New York City. Why has the controlled media kept it secret? Olmert, who was raised in the Betar militia in a founding family of the Irgun (the Zionist terror group of the 1930s and 40s which later became the Likud party), became the prime minister of Israel after Ariel Sharon fell (or was thrown) into a coma. Chapter VI A "The Florida Connection"
As in the Soviet Union, Jewish criminals in America used the "holocaust" and the slanderous charge of anti-Semitism as a shield to protect their criminal network and extortion rackets by intimidating and silencing those who would dare to expose the monstrous crimes they were involved in. A secret "combination" or Zionist network was clearly at work pulling the strings at the highest level behind the scenes. Chapter VII "The Architecture of Terror: Mapping the Network Behind 9/11"
Andreas von Bülow (*1937), the former head of the parliamentary commission that oversaw the German intelligence agencies, told me that a sophisticated false-flag operation like 9/11 has an organizational structure with three basic levels: architectural, operational, and working. Atta and the nineteen Arabs blamed as the "hijackers" of 9/11 were part of the working level, von Bülow said, and were simply part of the deception. That is, after all, how false-flag terror works. Von Bülow said that he believed that the Mossad, Israel's foreign intelligence service, was behind the terror attacks of 9/11. These attacks, he said, were designed to turn public opinion against the Arabs, and to boost military and security spending. Chapter VII "The Architecture of Terror: Mapping the Network Behind 9/11"
There is evidence of an Israeli military intelligence matrix connecting every key player and entity behind 9/11. At the most crucial position in U.S. law enforcement, for example, where executive decisions were made concerning the federal non-investigation, sat Michael Chertoff, an Israeli whose mother was one of the first agents of Israeli intelligence. Having the devoted Zionist Michael Chertoff in the key position as Assistant Attorney General controlling the criminal division of the Department of Justice gave the Israelis the operational security to carry out this massive crime without fear of exposure or prosecution. It should be noted that Chertoff also played a key role in the prosecution of the 1993 false-flag terror bombing at the World Trade Center. Likewise, two federal judges, Alvin K. Hellerstein and Michael B. Mukasey, both dedicated Zionists, have overseen virtually all the litigation from the massive death and destruction of 9/11 as well as the 1993 false-flag incident at the WTC. Small wonder there has yet to be a single trial for any of the ninety-six families who chose to seek justice through the courts rather than accept the government pay-out for the loss of their loved ones. Chapter VII "The Architecture of Terror: Mapping the Network Behind 9/11"
Goff [...] was Ptech's original marketing director, and that he was the person responsible for "procuring" software for Ptech should have demolished the Arab myth. My revelation that Goff was working for Guardium, a software company run by Israeli military intelligence officers, was ignored by the "whistle blowers" who had pushed the Arab myth, as well as by supposedly non-partisan investigators of 9/11. The Ptech-Guardium connection through Michael Goff, however, is a key link to the terror structure behind 9/11. Ptech enterprise software, which has spy, surveillance, and intervention capabilities, […] was running on nearly all of U.S. government computer networks at the time of 9/11. Goff, who had procured all software for the "Arab-owned" Ptech and who had been responsible for marketing Ptech's enterprise software, went on to work for Guardium, a company that is a branch of the research and development department of the Israeli Air Force. Chapter VII "The Architecture of Terror: Mapping the Network Behind 9/11"
Many Americans willingly accept the extremely one-sided and abusive relationship with Israel because they have internalized three fundamental Zionist deceptions, which have been forced into their brains by the controlled mass media. The first deception is the religious hoax [successfully foisted onto millions of extremely naïve and gullible Christians, often referred to as Christian Zionists] that equates the modern state of Israel with the Israel of the Bible. This religious fraud elevates modern-day Israelis, regardless of their actual ethnicity, to being the rightful heirs of the Promised Land. The second fundamental Zionist deception [only shared by those who believe in Jewish racism and supremacism – the central pillar of the Zionist world] is that Israel is a "sister democracy" of the United States and that Israelis and Americans share the same "democratic" values. The first deception, the religious hoax of the Zionist state's connection to the biblical Israel, is doctrine to television evangelists like Pat Robertson and his Christian Coalition, while the second and third have become "conventional wisdom" for the U.S. news and entertainment media. Because millions of Americans have accepted and internalized these Zionist-created falsehoods, they are unable to understand the actual realities of the Middle East or the massive fraud of the "War on Terror." Chapter VIII "The Mass Media & the 9/11 Cover-Up"
Although there were clearly a number of serious problems with the explanation that Al Qaida was behind the attacks, such as the unexplained explosive demolitions of the three towers at the World Trade Center, these issues were never discussed in the mainstream media. By ignoring the many unanswered questions about 9/11 the masters of the controlled media sought to marginalize those who pointed out the glaring problems with the "politically correct" explanation that blamed Osama Bin Laden and Al Qaida. Chapter XV "The Destruction of the Evidence"
The discovery of fragments of unexploded super thermite in the dust of the World Trade Center by Dr. Steven E. Jones […] explains both the pulverization of the concrete floors and the abundance of molten iron droplets in the dust. Conventional thermite cutter charges were apparently also used to slice the massive core columns that held up the towers. Numerous eyewitnesses, including a reporter from the BBC, reported powerful explosions at the base of the towers long before the collapses occurred. None of this evidence of explosions, even from reporters on the scene, has been taken into account by the government or the controlled media. Chapter XV "The Destruction of the Evidence"
Links zum Thema / Thema engl. Drei bekannte US-Journalisten von CBS, NBC und der New York Times sind innerhalb von 24 Stunden unter bisher nicht geklärten Umständen gestorben. Sie sollen gemeinsam an einem investigativen Dokumentarfilm zu möglichen Verwicklungen der US-Regierung bei den Anschlägen von 9/11 gearbeitet haben. Der New York Times Journalist starb direkt nach einem Interview mit NSA-Whistleblower Edward Snowden. A European scientific study has concluded that on September 11, 2001, the Twin Towers and WTC7 were brought down by a controlled demolition. Die am 20. Juni 2003 ausgestrahlte WDR-Dokumentation zum 9/11-Anschlag wurde nur einmal gesendet. Die Filmemacher Gerhard Wisnewski und sein Cameraman Willy Brunner wurden vom WDR entlassen und verloren ihre Lizenz für deutsche öffentlich-rechtliche Fernsehsender. Der "Krieg gegen den Terror" – 15 Jahre nach den Terroranschlägen vom 11. September 2001 – ist ein Vorwand zur Erbeutung von Erdöl und Erdgas. 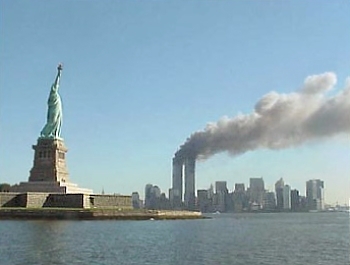 Despite overwhelming proof the governments official story of what happened on September 11, 2001 is wrong, many people continue to believe the government's official version. TERRORIST STATE Israel is a nation which was founded by terrorists, ruthless men with histories of committing genocidal crimes and false flag operations. 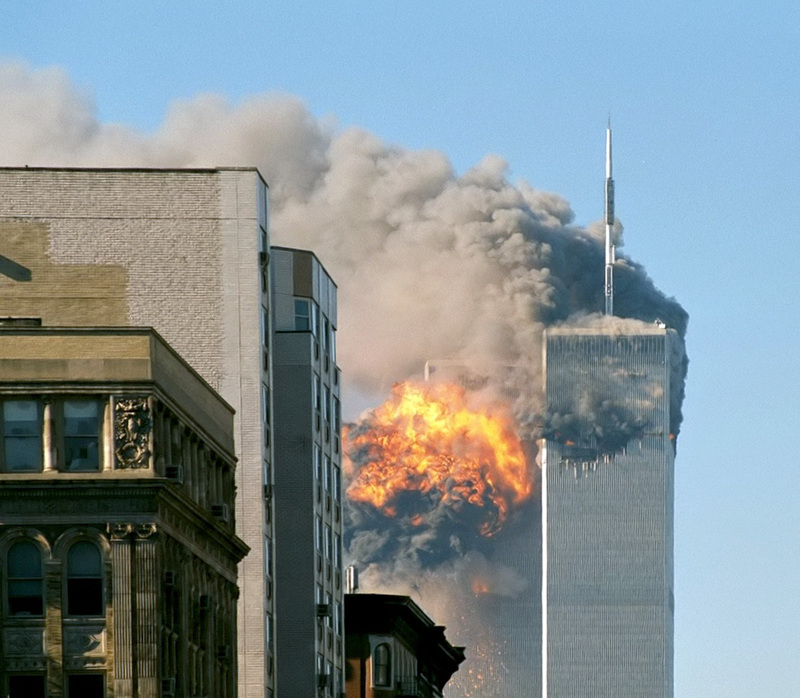 ♦ The Twin Towers were destroyed from the top down, not bottom up. ♦ The Twin Towers were destroyed faster than physics can explain by a free fall speed "collapse." ♦ The buildings WTC1, WTC2, and WTC7 underwent mid-air pulverization (dustification) i.e. were turned to dust before they hit the ground. ♦ The upper 80%, approximately, of each tower was turned into fine dust and did not crash to the earth. ♦ The upper 90%, approximately, of the inside of WTC7 was turned into fine dust and did not crash to the earth. ♦ One file cabinet with folder dividers survived. No toilets survived or even recognizable portions of one. ♦ The seismic impact was minimal, far too small based on a comparison with the Seattle King Dome controlled demolition. ♦ Windows of nearby buildings had circular and other odd-shaped holes in them. ♦ Molecular dissociation and transmutation was demonstrated by the near-instant rusting of affected steel. ♦ No evidence of burned bodies of ~3,000 people in the WT towers. ♦ Weird fires appeared, however without evidence of heating. ♦ Witnesses reported lack of high heat and that the initial dust cloud felt cooler than ambient temperatures. ♦ Unburned office paper was densely spread throughout lower Manhattan. ♦ During the destruction of the Twin Towers approximately 1,400 motor vehicles appeared to be burning. The were toasted in strange ways. In 2007 Dr. Judy Wood ws the only 9/11 researcher to submit evidence to the courts in pursuit of the truth. She filed several federal legal Qui Tam cases – for science fraud against the contractors (professor of physics Steven Jones, Ph.D. and_other_members_of_the_9/11_Truth_community) of the US government who contributed to the official National Institute of Standards and Technology (NIST) report about the destruction of the World Trade Center towers. She claimed Requests For Corrections (RFC) based on the Data Quality Act. All her whistleblower court cases on DIRECTED ENERGY AND USED AS A WEAPON against the WTC complex including building #7 were dismissed, however found "not frivolous".4 The same case was filed in the US Supreme Court in December 2009 and left unanswered. Judy Wood: "My intellectual integrity prevents me from calling this a collapse. [concerning WTC buildings #1, #2, #7] This is why I have chosen to stand up. My conscience leaves me no other choice." Judy Wood: "The biggest attack that happened that day [11. September 2001] was the attack on human consciousness." The official narrative on 9/11 purported by politicians and the media manipulated the people worldwide into believing that winged planes were able to cut through feet thick steel. Cold fusion gained attention after reports in 1989 by Stanley Pons (*1943) US American-French electrochemist and Martin Fleischmann, FRS (1927-2012) British chemist versed in electrochemistry, that their apparatus at the University of Utah had produced anomalous heat ("excess heat") at room temperature of a magnitude in terms of nuclear processes. See also: Eugene Mallove (1947-2004) was murdered, possibly as a result of actively supporting Fleischmann-Pons claims and work. Page generated in 2.153 seconds.